1. You and other commentators have said over the years that Hasbro couldn't rerelease every figure they made in the last 10-12 years because some of the molds were not maintained, or because there wasn't the means to store so many molds as the years passed, and the number of molds grew. So, my question is which figures do you know of for certain who have had their molds lost? You might be putting words in my mouth there - it's more complicated than that. To address the last part of your query - Hasbro won't say which (if any) product molds are no longer available due to tooling. I suspect they can't even know until they try to run that figure again, because we're talking thousands of products spread across multiple factories over several decades. Toy legend has it that some molds may even be serving as boat anchors in harbors - it's not always known where everything at every toy manufacturer ended up, as these things require a lot of space to maintain and after the first run is over you never know if you'll need them again. I don't recall the big Millennium Falcon being made as a result of tooling availability. While it is true that the heavily retooled Millennium Falcon sold from 2004-2005 got flimsier as the runs went on, at no time did anyone say the reason Hasbro made an even bigger, more expensive, and feature-laden toy at a massive transitional point in the franchise - the 2008 The Clone Wars launch - was for that reason. Hasbro could just as easily made a new, small and cheap version. I suspect it has much more to do with publicity and maintaining the collector audience during a period where if they went all-The Clone Wars it would cost them a lot of collectors as the kid audience ramped up. 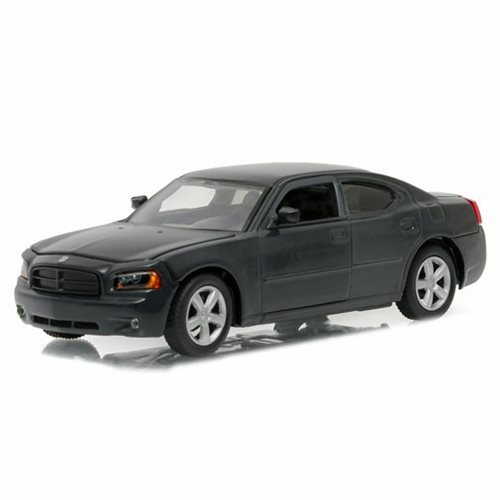 Hasbro has stated that some of the new versions of vehicles were as a result of manufacturing, labor, and materials cost. 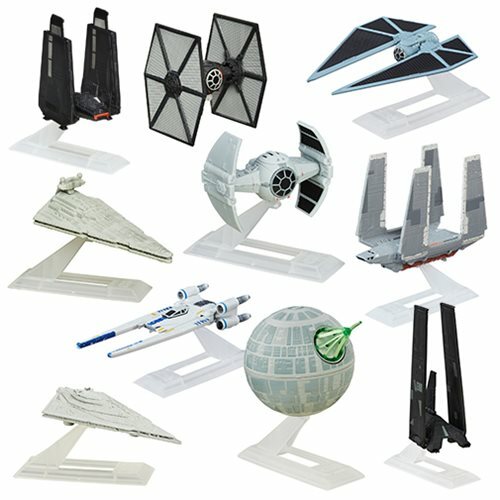 The Jedi Starfighter molds are perfectly good, as are some of the existing Slave I molds, but you can't necessarily squirt them out for $19.99-$24.99 anymore. We saw Episode I vehicles reissued at higher prices (minus the pilot bonus figures) in 2012, as that price point had begun to creep beyond what would be considered a fair price. Hasbro's solution: start over, go smaller, and design something with fewer parts to fit the bill. On the whole I'd say it worked - we saw a similar strategy deployed to some Transformers, although it seems Hasbro abandoned this notion rather quickly and took us back to $30-$50 starfighters for the last two movies. Not many toy lines have as much tooling as Star Wars and even fewer are around long enough to fully exploit it. Hasbro did a bang-up job keeping some vehicles in circulation (albeit with varying deco) from 2005-2010, plus their Saga Legends line was a master class on keeping old stuff on shelves - one I wish they'd mimic in other lines more often. I'm more than a little surprised we didn't see a push toward that for The Force Awakens and Rogue One given how many figures could probably be straight-up reissued - or given new weapons - but sometimes that leads back to the whole "would it just be cheaper to do an all-new figure?" argument. 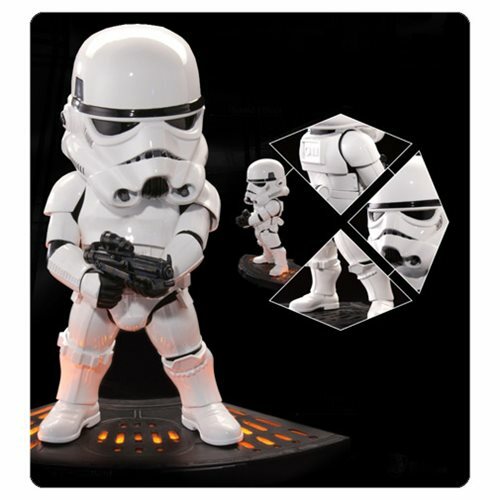 Ad: Get Star Wars, The Walking Dead, and More from Entertainment Earth! 2. Just wanted to write and say that I totally agree with your "FIN" section of today's Q&A column. I've been telling people that I felt Star Wars should be more of an event, and not an annual thing, so as to make it more special, and to give the franchise time to "breathe." It's unfortunate that we'll never get toys for each movie in any depth - secondary characters, and even different outfits from main characters, may never be made due to this quick turnaround of unending movies. Like you, I need time to memorize each movie, and I feel I can't do that with a movie every year (plus the Rebels cartoon). My wallet and limited storage/display space is grateful for fewer things to buy, but it's a shame that there are some really cool characters and outfits that may never see plastic due to Disney overloading us. Or that they may be purchased in one scale, but not the other. It baffles me why the Walmart TBS 3 3/4" TFA Han was of him in his winter coat, which he wore for all of a minute, and yet the 6" figure was of his "regular" outfit. Given the choice, I'd much rather have his regular outfit in each scale, and the winter coat not at all. Same for TFA Leia. Anyway, thanks for continuing the column, and good luck with your new toy displays. Not sure what I'm going to do with all the stuff that I have, as my toy room closet is just about full. I do use Barrister bookcases to display toys in my room, but those are all jam-packed full. I really need to basically quit collecting, pare down what I collect to the bare essentials (very hard to do! ), or get a bigger place, which I can't afford at this time. As a fellow collector told me, collecting is a "disease." But I still enjoy it! I'm still wondering if the annual thing is going to last - supposedly the Han Solo movie is still on the books for May 2018, but maybe that moved when I wasn't paying attention. Six months apart seems like overkill. But I digress - thanks for the kind words! If Disney's going full-on annual releases - or more than that - it's possible eventually Hasbro and Disney will realize the value that Hasbro of old saw in releasing figures and toys all year long to keep us engaged. With The Force Awakens we were pretty much finished around February save for some summer stragglers in the exclusive realm and the Takodana Encounter pack. I also suspect as turnaround on the movies get faster, we'll see more figures from the previous movie(s) in the new movie launch lines. For example, this time around we got a Rey and a Kylo Ren as part of Rogue One. Maybe next time we'll see stuff from other movies as "filler" because of secrecy toward the new movie. 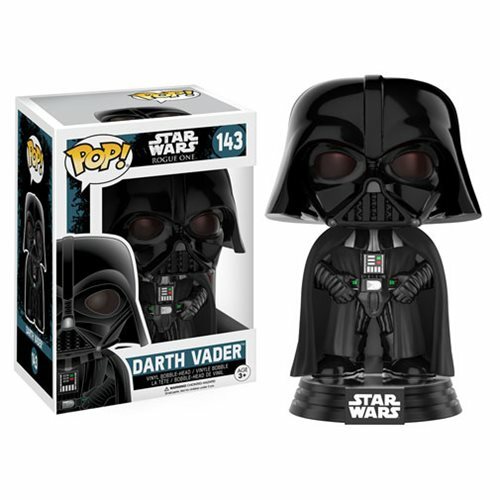 It could happen - after all, the Force Friday 2015 line had its Hero Mashers and Galactic Heroes and even Titanium Series made primarily of fodder from existing corners of the franchise. Eventually things might swing back to more collector-friendly territory just out of necessity. It used to take 3 years to make a Star Wars movie... and now, Rogue One started filming in August 2015 with toys out September 2016. That's not even a year, and that's not even letting them shoot and design every last character and alien in the film. Hasbro just runs with what they have and/or what Disney says would make a good toy. As such, I bet if release patterns remain consistent we're going to have to see more aliens, more droids, and more variant costumes. Hasbro can't not make Snoke and Old Man Luke forever. 3. Great column, I have been reading for years. 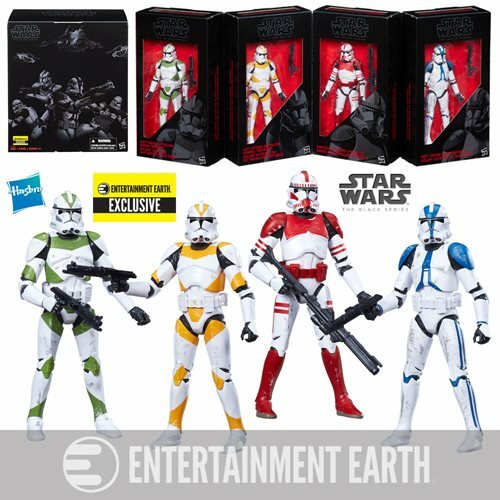 Have you reviewed the new black series helmets from Hasbro? I bought the Kylo Ren and Imperial Stormtrooper helmets this past Force Friday, they were my main purchases this time around. First one I one opened was Kylo Ren, WOW great sculpt and very nice loud voice effect. Next the Storm Trooper, I have been waiting for something of this quality for a long time , great sculpt ... but my sound effect did not work... or so i thought, I returned it the next day, they put in fresh batteries to check, no real voice change could be heard, so I opened another helmet, and checked it in the store before leaving, this one too had what seams to be a very low volume for the sound effect, you can hear that the mic is on if you blow into it, you can hear that distortion, but if you are talking into it you heard nothing but you own voice. is this a common problem with this helmet? I have other clone trooper helmets that work fine. I have posted a complaint directly to hasbro , I do not know how long it will take to hear back from them. I don't know if it's a common problem, but it's a common complaint - I frequently hear from fans discussing ways to rip out the electronics and replace them with something different. I haven't put batteries in mine yet (I don't keep "AAA"s around for some reason or another) and I've rarely been all that impressed with the voice changing features on these things. Also apparently my head is too big for the Stormtrooper but not Kylo Ren? Curious. While I personally do not like to modify my Star Wars items (unless it's to fix a joint), you may wish to start looking at costuming communities and modders to see what - if anything - you can do to put in new electronics or perhaps modify what's there now like in this video. 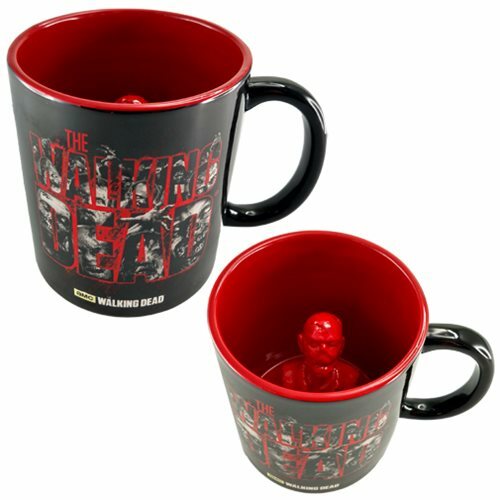 It wouldn't surprise me if this weren't at all tested for adult-sized heads despite being a "Black Series" collectible. The most common complaint I get back on questions like this is "Well, Hasbro should have made it just work right in the first place!" I don't disagree, but the rapid-fire release of product seems to involve less and less testing of how products work and I'm really, genuinely curious if Hasbro bothered to give this piece a spin with full-grown fan people. So I got a bunch of new stuff in the mail lately - it's the season - including the 2-packs for Rogue One. What's interesting here - particularly because the topic comes up a bunch - are that the 2-packs are made in Vietnam. Hasbro's been making its Transformers toys there for a few years, and the results are generally quite good - tolerances are usually good, engineering is usually good, and the overall quality of the paint has - if you ask me - improved. Looking at the Rogue One 2-packs, what's particularly interesting is that it seems that while the figures could have used a "skirt" piece, they instead opted for the traditional t-crotch. I appreciate this - it's better for vehicle piloting. I assume it's also slightly cheaper. Right now the buzz is feeling good for the upcoming movie, and the interesting thing from where I sit is getting a quick overview of what seems to be selling. Specifically, the Rebels stuff seems to suddenly be doing better and I'm finding that the new Rogue One Stormtroopers seem to be selling out just as fast as Sabine Wren. And I've not seen a Leia (Rebels) in the wild yet, but I am starting to see Chirrut Imwe and other wave 2 characters. I'm wondering if this means that Army Building is making a comeback now that you can buy Stormtroopers for $7-$8 instead of $10-$12 again, or if people just see it and go "oh hey classic figure I'll buy one." I expect Darth Vader to sell well for pretty much those reasons. 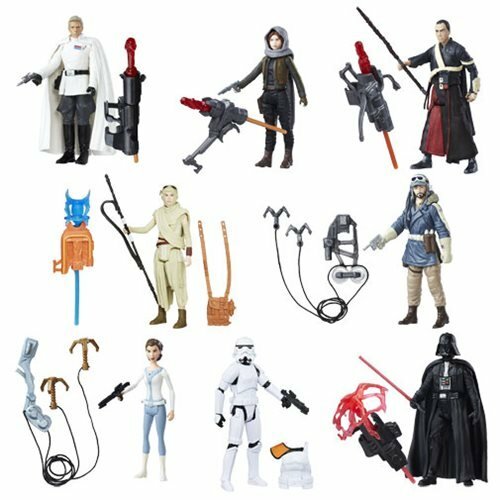 For the curious I've still not found any Rogue One exclusives that I'd want to buy - I've only seen the Walmart Ahsoka/Ackbar/Guard/Lando wave, and for the time being am holding off. But I might buy another Guard if I see them again. I'm guessing it's going to be a long wait to see some of these. As of my writing this I'm about to hit the one remaining Kmart in the Phoenix area for the second time this weekend because above all things, I love being disappointed. Oh, and Shin Godzilla is in (some) theaters now. If you have an interest in such things, I can say I enjoyed it as much as I was angered by the not-Mike and not-Joel audience. You know what I'm talking about. Dang kids. Good movie, though.